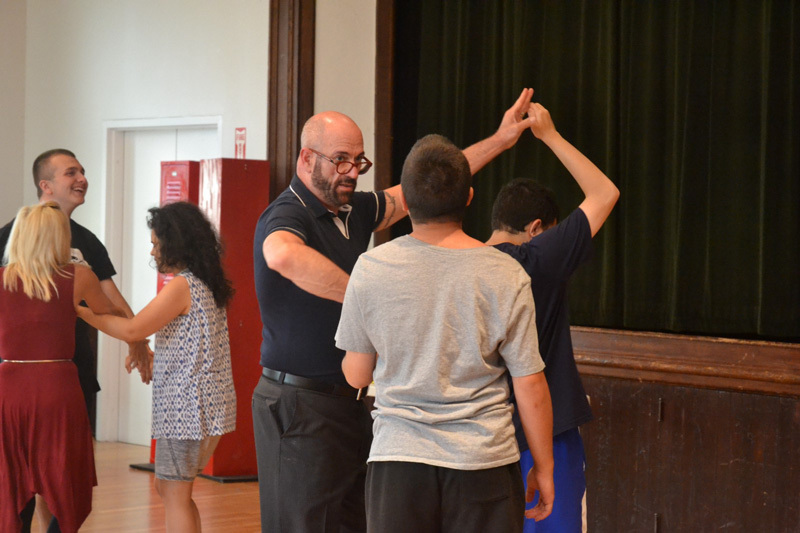 LOCAL NON-PROFIT NEURABILITIES DANCE PROGRAM FEATURED IN THE HADDONFIELD SUN NEWSPAPER! Sean Keane looks forward to coming to Grace Church in Haddonfield every Tuesday for his dance class. The 20-year-old from Marlton is one of about nine young adults with autism who attend free weekly ballroom dancing lessons as part of a new program sponsored by the nonprofit Dance Haddonfield. Sean’s mother, Amanda Keane, likes the program because it is geared toward young adults. Most of the activities for people with intellectual disabilities are for children, she said. “He doesn’t feel like he’s a small child when he comes here,” Amanda Keane said. Joe Murphy, of Dance Haddonfield, helped organize the program. He said he read about the benefits of ballroom dancing for people with autism and wanted to set up a program in the borough. The classes have been successful and popular through nine weeks, Murphy said. Initially, there were six young people registered for the lessons. That number soon grew to nine, and Dance Haddonfield recently decided to extend the program from 10 weeks to 12 weeks, he said. Murphy said ballroom dancing is a physical and mental exercise for people with or without disabilities. For people with autism, who often struggle to communicate, there is also a social aspect, he said. 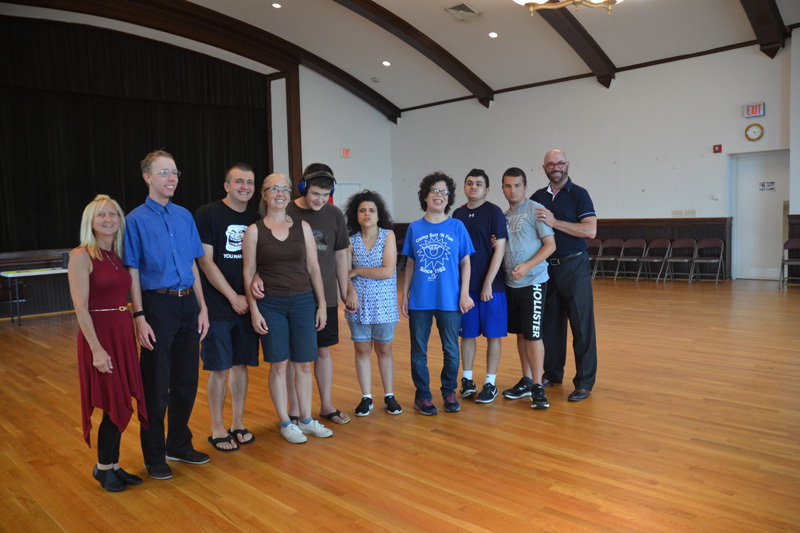 Young adults with autism participate in a dance class Tuesday, July 31, at Grace Church in Haddonfield. Will McAnurn, 18, of Haddonfield, has participated in a couple of the sessions and said it has been an enjoyable experience. Participants in the program have been learning several varieties of dance, including the fox trot, tango, meringue and hustle. “Sometimes, it still takes me a bit, but I’m getting the hang of it,” McAnurn said. Murphy said many of the students in the class are affiliated with NeurAbilities, a Voorhees-based nonprofit that supports people with intellectual disabilities through art and culture. Grace Church donated the space, and M&T Bank provided a $1,000 grant to help pay for professional dance instructor Gene LaPierre. LaPierre, who is contributing his salary to his own dance-related charity, said the 45-minute sessions help the young adults with autism in a variety of ways. Teaching the group at Grace Church is not that much different than leading a class for beginners without disabilities, LaPierre said. A group of students and volunteers pose for a picture Tuesday, July 31, after a dance class for young adults for autism. Murphy said Dance Haddonfield is interested in continuing the classes after the 12-week program concludes later this month. Amanda Keane said her son Sean would come back for more classes. “We’re hoping that it continues, and he can continue coming to this in the fall,” she said. Kean would like to see more activities developed in South Jersey for adults with intellectual disabilities. “These kids grow up, and they need things to do,” she said. For more information about the dance classes, contact Joe Murphy at jemurphy5730@gmail.com.